We are extremely happy to announce that our Products with Free Shipping category has been greatly expanded. 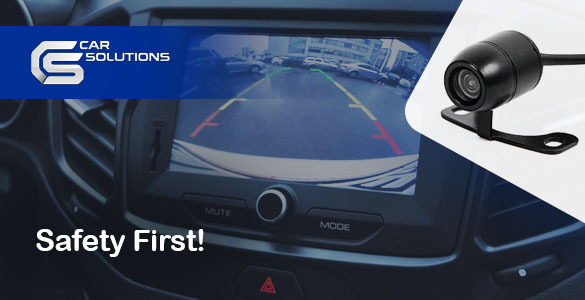 Visit the category now and pick from a wide range of video interfaces, navigation boxes, rear view cameras and many other items, all - with free shipping worldwide! 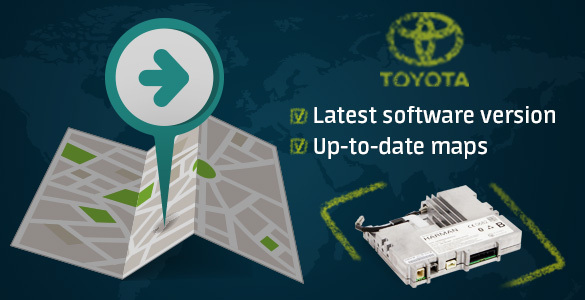 From now on, each OEM navigation system for Toyota Touch 2 from Car Solutions will come with the latest firmware version, as well as up-to-date maps of over 40 countries. The navigation system, equipped with 14 different languages and a POI (Points of Interest) database, displays elements of city infrastructure in 3D and offers various online services (such as weather, fuel prices, Twitter and others). Every car owner, at one point or another, encountered a problem with dead car battery. It can happen anywhere and anytime, be it before going to work in the morning, while traveling in a foreign country or returning home on a cold and snowy night, and it's always an unpleasant accident. 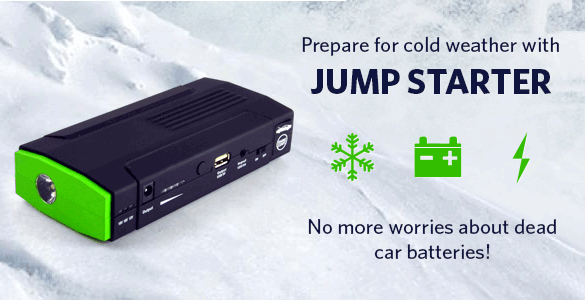 We at Car Solutions always worry about your safety, that's why we are happy to present a simple and convenient solution to all of those problems – Jump Starter portable starting and charging device. 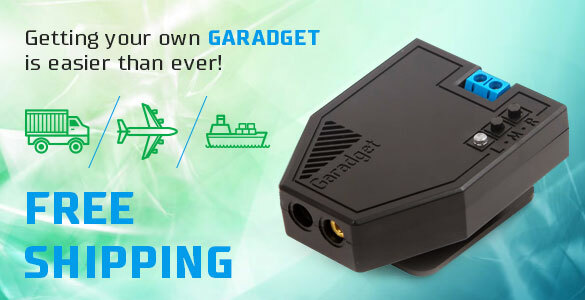 Obtaining Garadget remote garage door opener is now easier than ever. 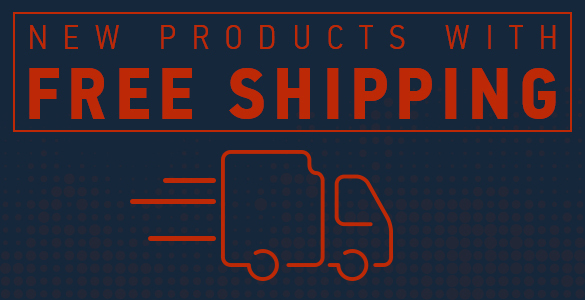 We are happy to announce that we are introducing free shipping for all Garadgets purchased from our online store! This device will allow you to remotely control your garage door using a smartphone, iPhone, tablet or computer. You will also receive notifications and updates about their status. Installation of the device is quite easy but just for you we have prepared a detailed instruction that will answer all of your questions and help you solve any issues if they are to occur. You can also find new entertaining videos on our YouTube channel that will explain the most important and benefitial things about using Garadget. Car Solutions team would like to surprise you with great discounts which will definitely contribute to your holiday spirit! Enjoy discounts up to 50% for various products in our online store. The sale starts on December 5th and lasts until December 25th! We at Car Solutions just can't stop bringing you great news. 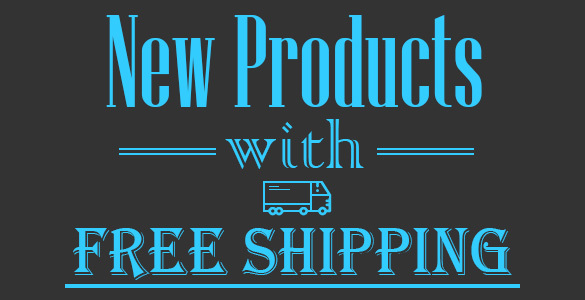 Our category of products with free shipping has been increased again. Order car video interfaces, navigation boxes and systems, rear view and front view cameras and other high-quality electronics without worrying about shipping costs! Video interface is an extremely useful device for any car owner but quite often it is very hard to pick the one that fits your car. Is it compatible with my car model? Will I be able to connect it to the multimedia system? Which head unit is installed in my car and which interface fits? Our new video interface selection wizard will help you find answers to all of these questions. While developing this feature we did our best to make it easy for you to find a video interface that fits your car in a matter of seconds. All you have to do is pick a brand, model and head unit and that's it. If you are not sure which head unit is installed in your car – no worries. Every head unit option comes with a photo, just find yours and "Voila!". Neat, right? 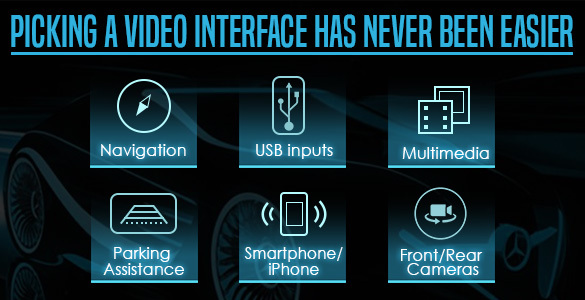 Grab a video interface in the Selection wizard and you will be surprised with all the new features of your car! 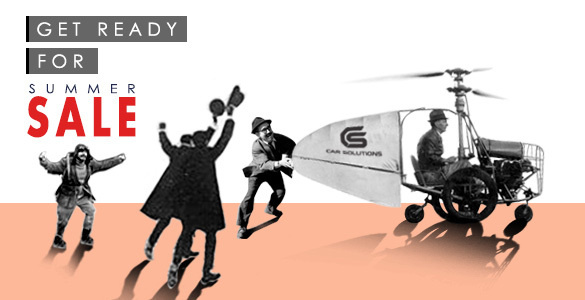 Car Solutions team never gets tired of bringing you great news! 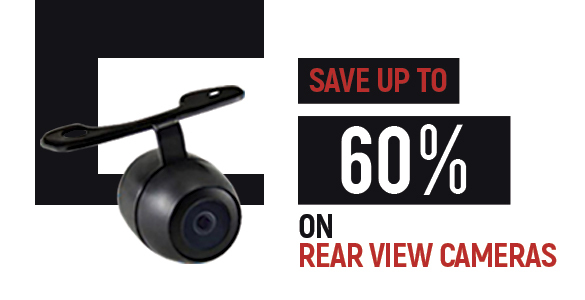 We are happy to announce discounts on rear view cameras – the best solution for car safety. Whether you are looking for a camera for specific car model or a universal one that can be installed in any car – we've got what you need. 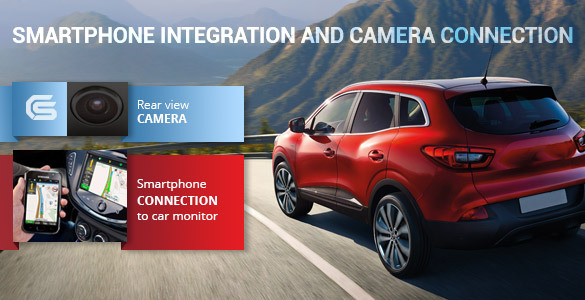 With such a camera you will be able to know what's happening behind your car and will park with ease wherever you need thanks to the built-in parking assistance function (PAS). 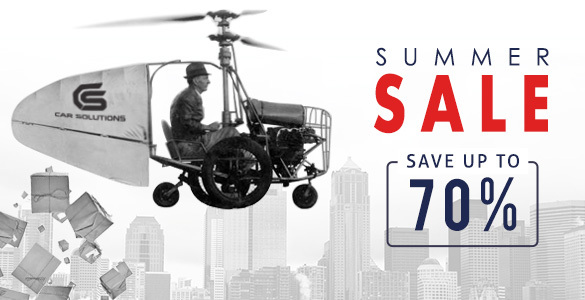 Take advantage of our discounts and make your car safer! Summer is in full spin and this means it's the right time for surprises! Very soon a grand summer sale will start in our online store. Save up to 70% on tons of different products: video interfaces, navigation boxes, TV receivers and a lot more. 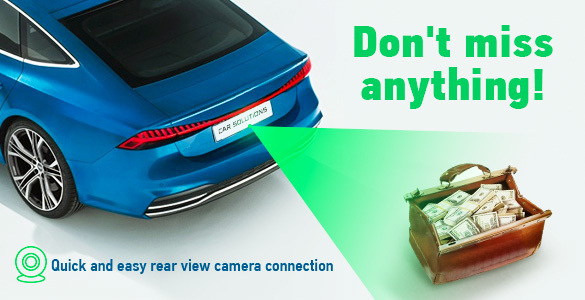 And while you are waiting, we have yet another surprise for you: discounts for rear and front view cameras – the best solution for car safety. Watch for our updates, summer sale is on the way! We all have been waiting for this moment for quite some time and, finally, it is here – grand summer sale from Car Solutions! Until the end of summer (31.08), all of our clients can save up to 70% on various car electronics: from rear view and front view cameras to video interfaces, navigation boxes and tons of different accessories. Go to our discounts page and choose whatever you like – there's enough for everyone! Car camera is an irreplaceable gadget for any car owner. However, camera connection can become a tiresome and expensive process. Most of the time a special adapter is also necessary. It takes a while to install, requires assistance from experienced engineers and costs quite a lot. Before you lose hope, we have some great news! Our team has come up with a perfect solution to this problem. Car Solutions online store offers Plug&Play connection cables for various car brands and models. Using such a cable you can quickly connect a rear view camera without the need of cutting into car wiring (which in turn helps preserve the warranty). Most importantly though, the cable is a lot less expensive than any adapter or video interface. Rear view camera is an excellent safety solution for both you and your close ones, so why hesitate? We are happy to share some wonderful news with you. 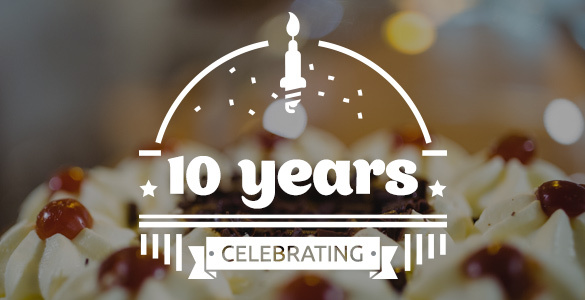 This year we are celebrating our first anniversary – we are turning 10! Whether you have been with us a month, a year or a decade, we would like to express our sincerest gratitude and great appreciation for being our customer. Join us in celebrating our birthday and stay tuned for lots of promotions, special offers and events this year! While you are waiting for our first event (which is due in February), why not take a look at our New Year sale? Just a couple of days left to take advantage of tons of discounts, go for it! 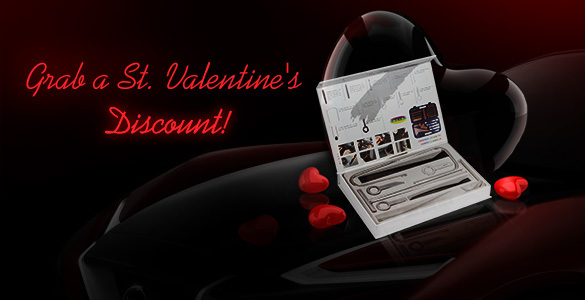 Have you already prepared gifts for St. Valentine's Day? In honor of this special day, we are offering discounts up to 50% on trim and panel removal tools to all of our customers. Remove and dismantle various plastic panels without causing any scratches or damages. 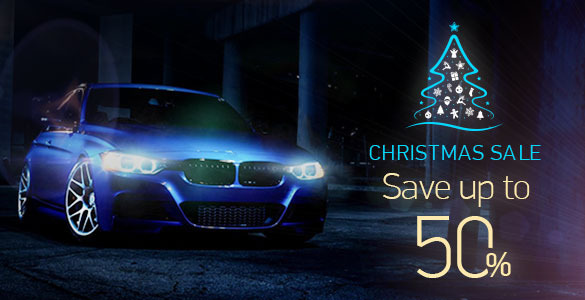 Hurry up, discounts will be available three days only, and your beloved car also deserves a present!